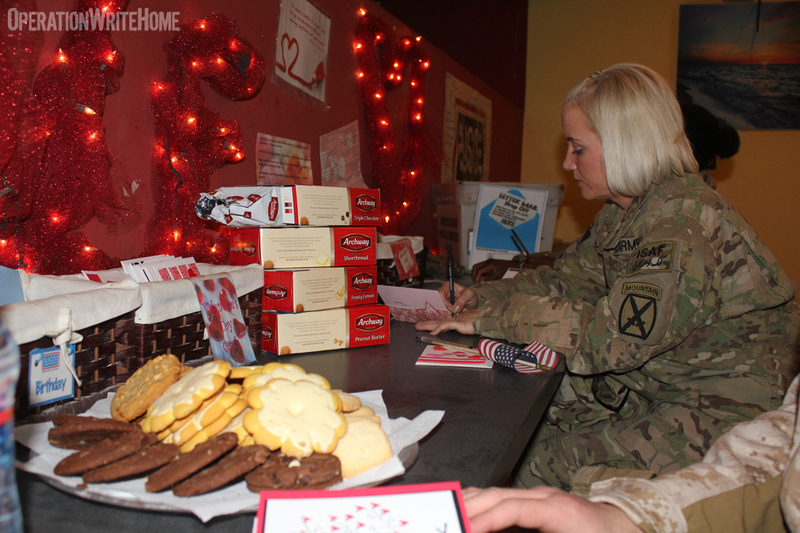 Here are some pictures of the troops writing your Valentine's Day cards while eating Archway Cookies. 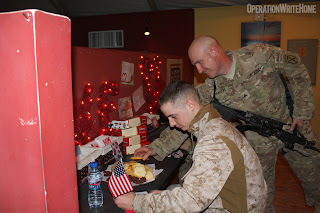 I put the pictures on our USO Kandahar Facebook page and tagged Operation Write Home and Archway Cookies in the first picture. And this is why I make cards! 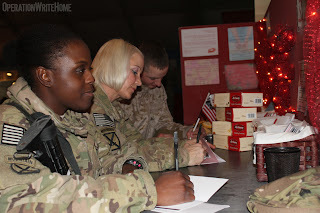 More heroes enjoying Archway COOKIES! Thank you doesn't seem a big enough reply!